This document describes how to install and configure multiple WordPress sites with the latest WordPress version on CentOS 7 in a single wordpress instance. 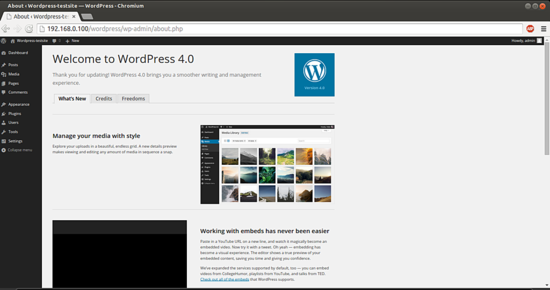 WordPress started in 2003 with a single bit of code to enhance the typography of everyday writing and with fewer users than you can count on your fingers and toes. 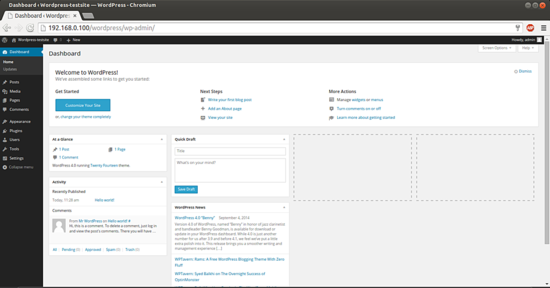 Since then it has grown to be the largest self-hosted blogging tool in the world, used on millions of sites and seen by tens of millions of people every day. 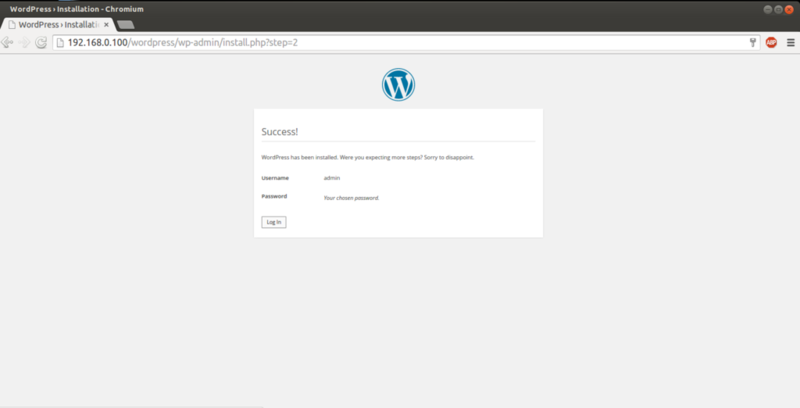 This tutorial explains the process of installing WordPress 4.0 on CentOS 7.0 in the form of a simple-to-follow guide. Change values as you gave at the time of database initialization. 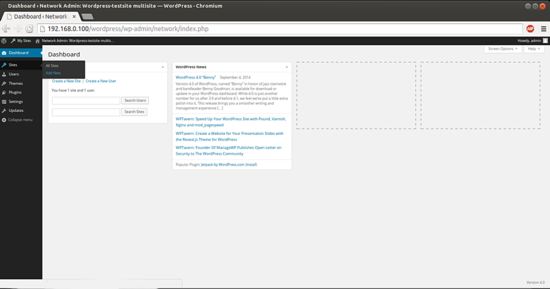 Now we will proceed with the multiple site configuration, for this we need to add these lines to our wp-config.php file just above the /* That’s all, stop editing! Happy blogging. */ line. In my case I am using permissions 644. 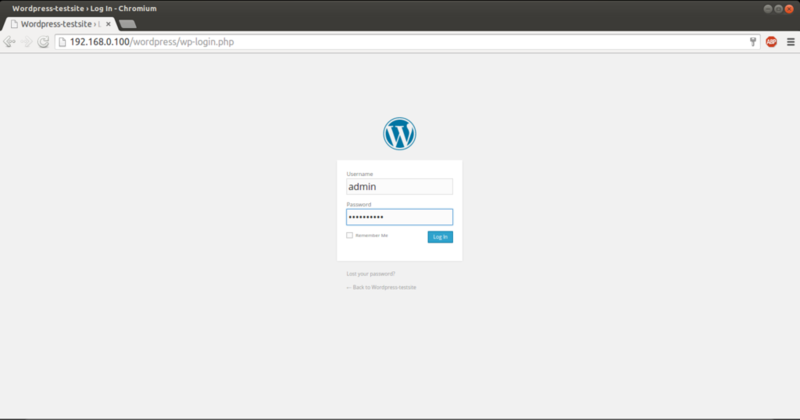 Now relogin to the WordPress. After successfully setting up the Multisite Network, you need to switch to the Network Dashboard to configure network settings, add new sites, and do lots of other things. Take your mouse over to My Sites menu in the admin toolbar, a flydown popup will appear. Click on Network Admin-->Dashboard. It will direct you to the Dashboard of the WordPress multisite. Just add the values as per your requirement. 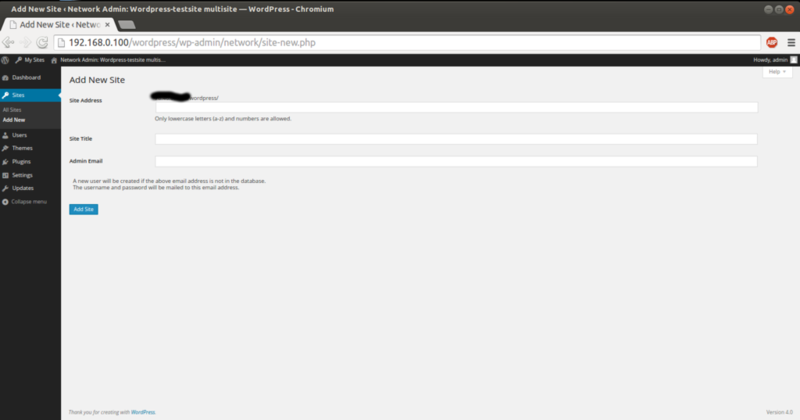 Assuming that you are not executing 'setenforce 0', your website will not correctly work with your tutorial. 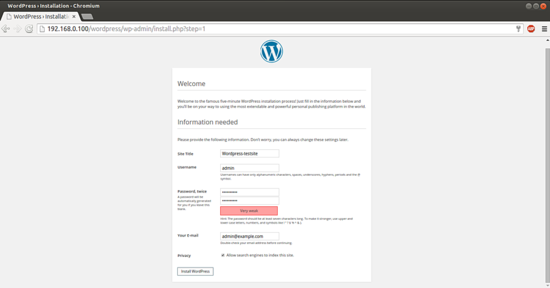 You need to apply 'restorecon -R /var/www/html/wordpress' and 'setsebool -P httpd_unified 1'. 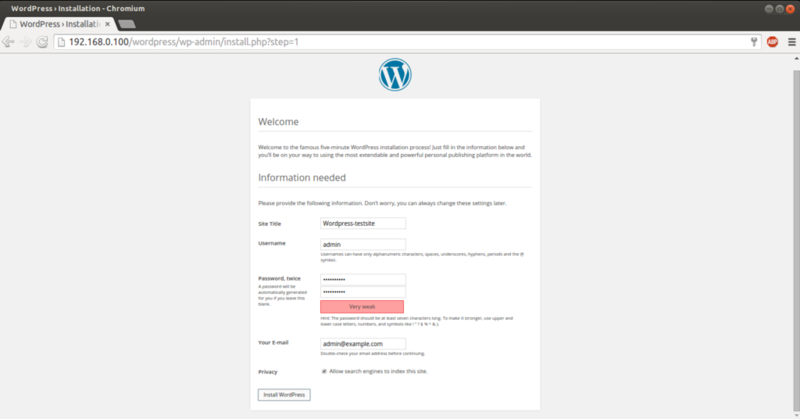 Also, you should change the wordpress database prefix as a security measure.